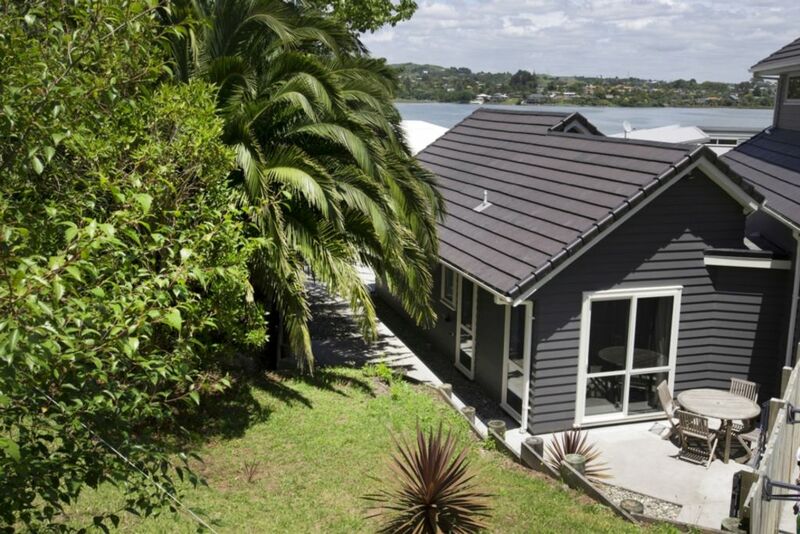 This completely self contained flat is your perfect holiday hideaway in the beautiful Bay of Plenty. Offset from the owners home, this 2 bedroom unit has its own driveway and its own private courtyard with outdoor table and chairs. The property is located on a private cul de sac and is nestled against a beautiful green backdrop of native bush. The property is a quiet haven away from the hustle and bustle and is the perfect compliment to a busy day of sightseeing or after a big day at the beach. Just come home and relax! It's perfect for kids. A trampoline is available for use and a playground and sports park is only a few minutes walk away. 2 kayaks are available for use on the estuary which is literally a stones throw from the house. Whilst set up to cater for 4 persons, there is room to put an additional rollaway bed/mattress in the second bedroom for a 5th person. Please enquire regarding this option. We are also available for longer term rentals (eg waiting for a new house to be built). We are happy to negotiate rates for this option. Perfect for longer term rental for extended holiday or for work. Happy to negotiate on pricing. Brett was fantastic and great to work with. Stayed there with my daughter and her baby. My daughter was getting married the next day. We had 3 bridesmaids and hairdressers and make up people arrive early the next morning. Brett the owner was amazing, making sure we had everything we needed, including curling tongs and umbrellas. Lovely clean accommodation, with everything you need. Great spot, quiet and peaceful, hosts friendly and easy going. Good communication and directions sent by owners before arrival. Place has everything you need and more. This was our second time staying here. Great place, perfect for our family of four and great hosts. Thanks again!